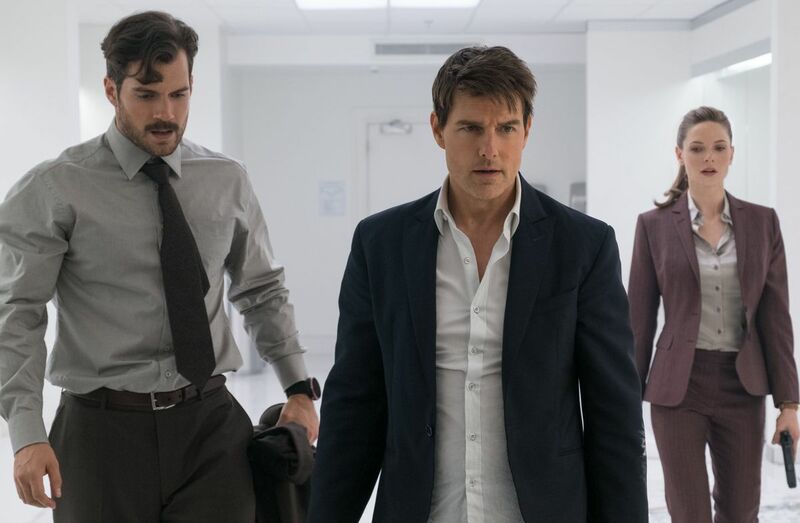 ‘Mission Impossible: Fallout’ marks a departure for the franchise. Previous to this installment, every ‘Mission’ has had a different director and feel. The films often felt like they were not in the same genre. From De Palma’s 70s conspiracy-thriller meets 90s blockbuster, to John Woo’s over-the-top gritty action- this template was set early, and continued to evolve as J.J. Abrams and Brad Bird gave their respective auteur stamps to the series. When Christopher McQuarrie was announced as director for the fifth film, ‘Mission Impossible: Rogue Nation,’ I was skeptical. McQuarrie is a more well-known as a screenwriter. He won an Academy Award for penning ‘The Usual Suspects’ and contributed to the tremendous ‘Edge of Tomorrow.’ As a director however he only had few credits. I felt his 2000 film ‘Way of the Gun’ would have been much better with a more capable director and I found 2012’s ‘Jack Reacher’ completely forgettable. Somewhere along the line, Mission Impossible had become one of my favorite action series and while these films gave us both J.J. Abrams and Brad Bird’s live action feature debuts, I had doubts as to McQuarrie’s ability to carry the torch. 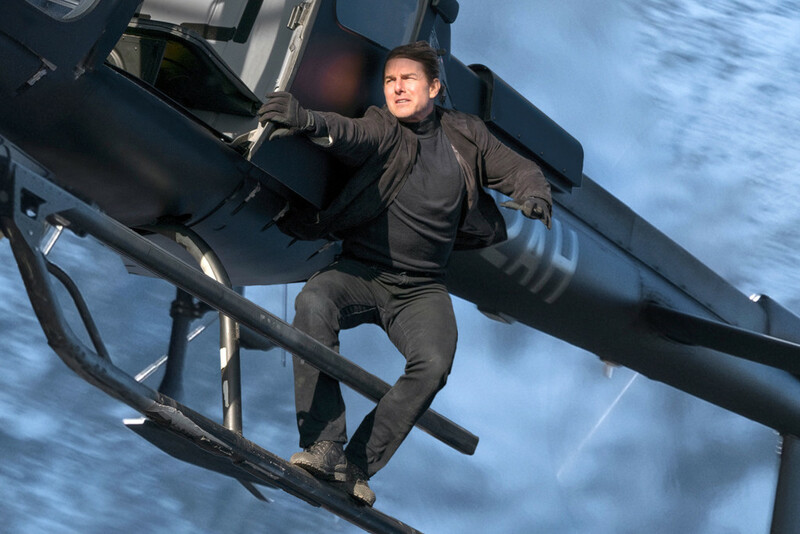 2015’s ‘Mission Impossible: Rogue Nation’ was well-received critically and financially and in a ‘Mission’ first, writer-director McQuarrie was brought back for a second film. Although competently-made, I did not end up connecting to ‘Rogue Nation’ as much as I would like. I felt the set-pieces lacked the iconic impact of the previous films and McQuarrie was so concerned with creating a complicated story that he seemed to forget that these films are meant to be fun. One of the things I especially took issue with was an underwater sequence that had heavy use of CGI, something that ‘Mission’ films generally stayed away from. Of all the directors to come back, McQuarrie would not have been my first choice. Luckily, ‘Fallout’ moves past most of the missteps of ‘Rogue Nation’ and ends up being a very strong entry in the series. 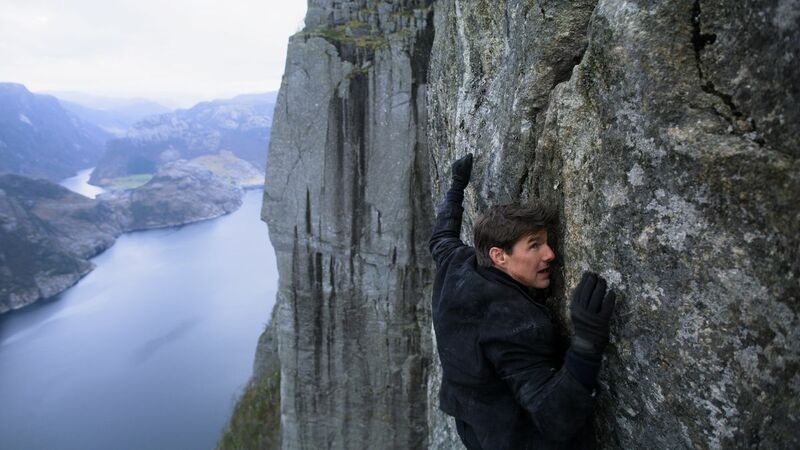 ‘Mission Impossible: Fallout’ is not only the first film that sees a director return, it is in many ways a direct sequel to the events of ‘Rogue Nation.’ We start as Ethan Hunt (Tom Cruise) gets his “your mission if you choose to accept it” briefing. The remains of The Syndicate have formed into a group called The Apostles who plan to detonate three nuclear bombs. Returning as part of Hunt’s team are series mainstays Luther Stickell (Ving Rhames) and Benji Dunn (Simon Pegg.) Ethan is forced to choose between letting one of his team members die or letting plutonium fall into the wrong hands. The beginning of the film is quite clever and leads to a late title card and the familiar opening sequence. This was refreshing as McQuarrie did away with the traditional title sequence in ‘Rogue Nation’ and it was one of the many things which made the film feel out of place. Joining returning characters Ilsa Faust (Rebecca Ferguson) and Alan Hunley (Alec Baldwin) are the new additions of White Widow (Vanessa Kirby) and August Walker (Henry Cavill.) White Widow is particularly interesting. A black market dealer with a connection to an early film in the series, she is playful and dangerous. An early sequence set at a massive rave is gorgeously shot and bleeds cool. August Walker is a CIA agent placed with Ethan Hunt (against his wishes) as a balance. Hunt can always be expected to save his team members even if it means putting the world in jeopardy. Agent Walker is the opposite. His job is to secure the plutonium at any cost. As his CIA boss Erica Sloan (Angela Bassett) says, Ethan is the scalpel while Walker is the hammer. And a hammer he is. Henry Cavill sports a now-famous mustache which had to be (very badly) digitally removed when he appeared at Superman in Justice League. Ironically, Cavill is little more than a CGI character in this film. His job is to be tough and punch things. His character does very little other than get in Ethan’s way and make things more difficult for him. This has a frustrating effect and although some later plot developments give him more to do and cause his place in the story to make a bit more sense, Cavill does seem largely wasted in this film. Ferguson is great as always as Ilsa Faust although her constant state of being at odds with Ethan does grow exhausting. 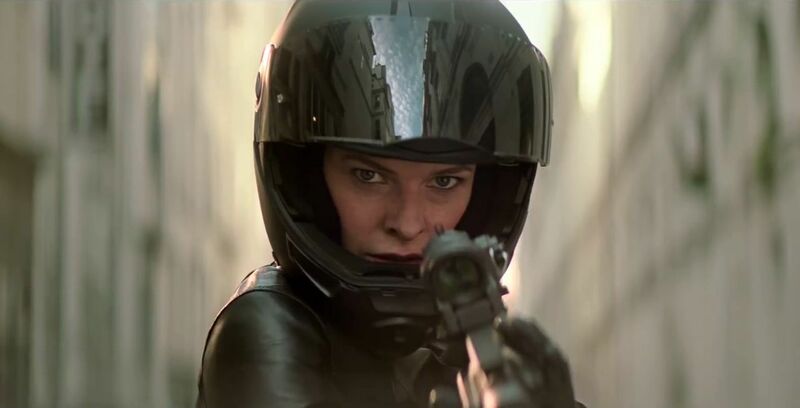 There is even a segment involving a motorcycle chase between Ethan and Ilsa that is so remarkably similar to a portion of ‘Rogue Nation’ that its puzzling. This can be forgiven because of how it subverts the expectations set from the last time, but it did make me wonder is this would be just be a re-tread of the last movie. Even the villain Solomon Lane (Sean Harris) is back. What ‘Fallout’ lacks in iconic action set-pieces, it makes up for in pure stamina. Anchoring the center of the film is one of the best car chases I have ever seen. Taking place in Paris, it moves from car to motorcycle and it’s duration and pitch-perfect planning elevates it to the pantheon of legendary chase sequences from films like ‘Ronin’ and ‘The Bourne Supremacy.’ This may not be as immediately recognizable as Ethan Hunt scaling Dubai’s Burj Khalifa or infiltrating CIA headquarters at Langley, suspended inches above a pressure-sensitive floor, but as an action set-piece it is immensely satisfying and I can’t wait to see it again. Other set pieces of note are a rooftop foot chase in London and final climactic sequence involving a helicopter chase. As always, one of the most impressive things about the ‘Mission Impossible’ films and Tom Cruise as an actor is that he does so many of his own stunts. Whether sliding down a rooftop in Shanghai or free-climbing in Moab, the fact that we can see clearly that Cruise is the stuntman always adds to the sense of gravity and real danger. This series has always valued old school stunt work over CGI trickery and ‘Fallout’ continues that tradition beautifully. Even in the climax, Cruise insisted on flying the helicopter himself. Whether piloting a chopper, clinging to the side of a cliff or driving a motorcycle against traffic in a roundabout – this sense of realism cannot be understated and McQuarrie’s more grounded approach to his ‘Mission Impossible’ films allow Cruise’s stunt work to shine. When a series with this many films releases a new installment, there are always lists ranking them to follow. Having seen many of these lists it is remarkable how there is very little consensus. Whether in the articles themselves or the comments on them, people have wildly varying opinions on which of these films are the best or worst. It used to be understood that ‘MI2′ was a bad film, but perhaps fueled by 90s-nostalgia, that opinion seems to be changing. I was slightly underwhelmed by ‘Rogue Nation’ but many consider it to be the best of the series. To my eye, these different takes are a strength. Every different film has something to offer to different audiences. For me, McQuarrie’s entries are somewhere around the middle but if this series continues I will get the fun and cartoonish atmosphere of ‘Ghost Protocol’ again (my personal favorite.) Perhaps we will eventually see the David Fincher film that ‘MI: III’ was intended to be. The various personalities and auteur visions that fuel the ‘Mission Impossible’ series is one of the things that keep it so fresh. While ‘Fallout’ is the first film that deviates from this formula, the refinement of Christopher McQuarrie’s approach and the resolution of this storyline make it a worthy addition to the franchise. Tom Cruise’s breathtaking stunts are worth the price of admission alone and the avoidance of computer generated effects in pursuit of an analog approach is admirable. Despite Cruise’s strong partnership with McQuarrie as of late, I do hope that the next film chooses a new director. The different approaches to each film are what give the ‘Mission Impossible’ films much of their personality and staying power. It is time to hand over the reins to a new director, perhaps another first-timer. Now if you’ll excuse me, I’m going to go see this movie again.